So, you fancy a few nights away camping with the kids, but your expectations seem to surpass the reality of what’s on offer? Unfortunately, perfect campsites are a bit like mythical creatures…they don’t exist. Or do they? Aberafon, on the Llyn Peninsula, is pretty damn close! Firstly, it must, of course, be family friendly. Maybe it has a small adventure play park and pitches located only around the edges of the fields to encourage kite flying, boules and games of catch. However, you also want a beach close by for some family paddling, kayaking or SUPing. Oh, and it definitely needs to allow camp fires – that’s an absolute must – how else will you toast those marshmallows? Should you and your family wish to escape further though, there needs to be plenty on offer within a short distance to keep you all occupied. And lastly, you want truly jaw-dropping scenery and surroundings. You’d be forgiven for thinking that this campsite, like a minotaur, unicorn or rocking horse poo; is just a step too far…a thing of camping fantasy. You’d be wrong! 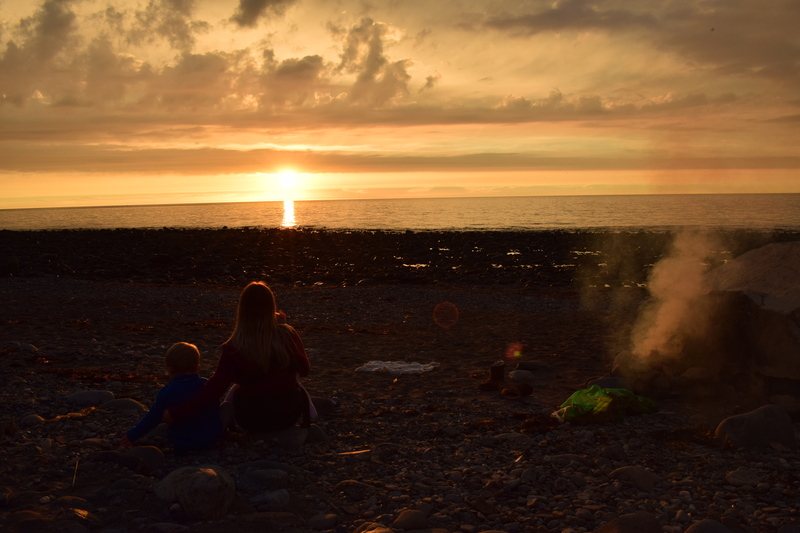 Aberafon, located on the Llyn Penisula in North Wales, about 10 miles south of Caernarfon, should be on everyone’s UK camping bucket list. 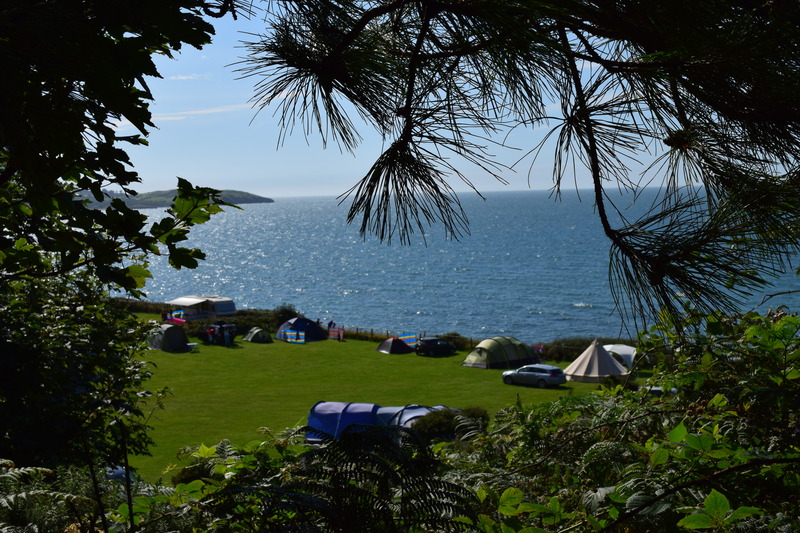 Sandwiched between the sea, that it proudly looks across, and the mountains behind, that offer a spectacular backdrop, you will struggle to find a more aesthetically pleasing base for your family camping adventures anywhere. Okay, Aberafon’s position does mean that, from time to time, the area suffers from windy conditions. But few coastal sites manage to escape this issue. Furthermore, to reach Aberafon, you have to descend down a steep, narrow lane. If you’re towing a trailer or in a campervan, extra caution needs to be taken as even the passing spots are pretty tight. But, sites of this beauty are rarely located, Travelodge style, at the side of a convenient dual carriageway. There are also all manner of spiders, moths, beetles and the like, (yes, even in the toilets and shower block) for you to either embrace or avoid. But, come on, you’re in the great outdoors; if bugs bother you, maybe you should have exited the dual carriageway at said Travelodge. My point is, if you want the massive rewards that this site offers, you have to live a little. Nobody wins a race they did not enter! Our pitch beside the sea. We booked a sea view pitch (£48 for three nights) and, on arrival, were given a choice of two to check out. We gambled and went for the pitch right on the front. When I say right on the front, there is a literally just a fence (more than capable of stopping inquisitive critters) that separates you from the beach. However, there are also sheltered pitches available, located in the back fields in amongst the trees and bushes, for people not wanting to be as exposed during periods of bad weather. Booking ahead (using their online availability and booking system) during busy periods is essential. During our stay a few fellow campers had enquired about extending their holiday by an extra night or two (it really is that sort of place) but to no avail. The site was full! The largely pebble Aberafon beach that we looked onto also has small patches of sand, particularly welcome if, like us, you have very young children. It is also perfect for exploring the many rock pools that form making it home to many crabs and other sea creatures. The beach also has a slipway for anyone wishing to take boats or kayaks to venture round this beautiful coastline, which certainly attracts more outdoor and adventurous families. Lastly, beach fires are permitted, with the onsite shop selling bags of wood and marshmallows, setting you up for a perfect evening sunset. The mountains located to the rear of the Aberafon site are also well worthy of exploration. Packed up with the toddler on my back, we spent an afternoon conquering them and trying to spot our now miniscule bell tent. There is no need to drive out in order to find a trail to hike, you simply walk straight out of the site and cross the road to pick up the first way-marked path up to Gyrn Goch. It’s a steep hike but has amazing views of the peninsula and Anglesey. The view of the campsite from the top of Gyrn Goch. Can you spot our tent? The facilities onsite are very good and clean which, when you bear in mind the location and type of adventurous people and families it attracts, is no mean feat. The shower rooms and toilets have everything from wetsuits, sea water and sand to an array of local bugs traipsing through them, so the owners do a brilliant job in their upkeep. We had toilets, drinking water and washing up facilities located at the top of our field, which was really handy for our nearly 3 year old and his peanut sized bladder. The showers are located just a two minute walk away, adjacent to the babbling brook and resident family of ducks, and cost 20p for 3 minutes. A friendlier set of owners you’d struggle to meet. As a teacher, who is notoriously bad with names, I was impressed that after one brief meeting the owner had managed to remember the names of our children and always made a point of asking them about their day and adventures. They were also a willing source of local knowledge giving me the low down on the various hiking routes available from the campsite. Nothing was too much trouble. A further nice touch was that on the Wednesday evening they had arranged for a wood-fired pizza company to come onto site and set up their oven in the top field. This certainly went down well with campers. If your jaw ever tires of gawping at the wonderful scenery at Aberafon, there’s a great collection of days out all within a short drive. Caernarfon, and its famous castle, is only about 20 minutes away in one direction, while the seaside town of Porthmadog and the architecturally amazing Portmeirion are only about 20 minutes away in the other direction. If you crave even more adventure, you’re also on the doorstep of Snowdonia National Park. With its endless walking, hiking, climbing and paddling opportunities, and its picturesque towns and local legends, such as Beddgelert, you’d struggle to be better placed for exploring this particular part of north Wales. All in all, if you’re an active, adventurous family that embraces the outdoors then Aberafon could just be your unicorn. It offers so much in such a small, non-commercialised package, while the views alone are worthy of adding it to your camping bucket list. It’s the same for us really, we tend to stick to areas of north Wales. We’ve promised ourselves an adventure up to Skye next year though. Thanks for reading. 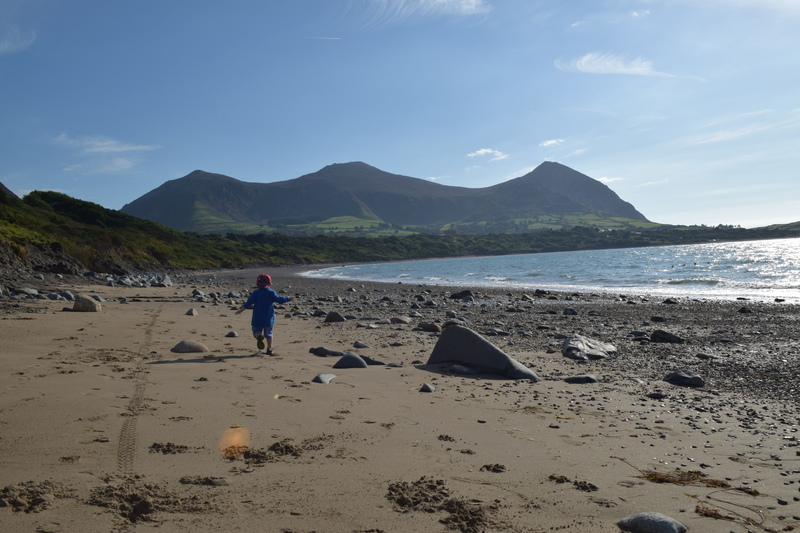 There are some truly stunning places along the Llyn Peninsula. Thanks for reading. This really does look like the perfect place to camp. Thanks so much for sharing! If the weather is good it really is. Thanks for reading. I hope you manage to get one day. Thanks for reading. We’ve stayed at Knoydart house/lodge up in Scotland so I imagine it’s the same area and yes very beautiful. Yes unfortunately I’m cleaning and re-waterproofing our tent today and tomorrow in case this was our last camp of the year. Thanks for reading. Wow! This looks stunning and your photos are amazing. I’m rather jealous of your bell tent too! Great review and stunning pictures! 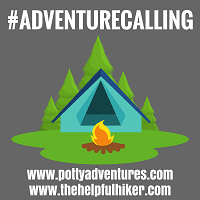 Looks like a great place to go camping and especially with so many water activities on your doorstep – my stepson would love this 😉 thanks for linking to #dreamteam great to have you! Calling back in from #FamilyFun. I read this the first time on my phone, I’m on my laptop now and your photos are stunning! I suppose easy when you’ve got such a beautiful setting! Thanks for linking up to #FamilyFun – Hope you can join us next week! Thanks so much and thanks for hosting. Yes you should definitely pay he north a visit – beautiful region. The weather looks gorgeous too – busting the myth that Wales can only do rain. what gorgeous memories you must have made, your photos are so beautiful. Beach fire + marshmallows = it doesn’t get better than that! Yes, there’s so many great site in Wales. Thanks for dropping by. Thanks so much. Yes a site like this is well worth the journey. You’ll have to let me know where you plump for if you do go this year as I’m always on the lookout for new sites. This campsite looks amazing. Definitely one for us to visit. Thank you for letting us know about it. Yes, we got very lucky with the weather but if a storm came in you’d know about it! Looks incredible. Never camped Wales but it’s definetly on the list now. Yeah this definitely one of my favourite UK sites mate. Thanks for commenting. I absolutely love it on the Llyn Peninsular – just returned from there myself actually! The campsite looks and sounds amazing, especially with pizza too. What more could you want? I’ll definitely consider it if we’re ever over on the Aberafon side. Thank you. Lovely area of the UK isn’t it. Hope you had a good time on the peninsula. 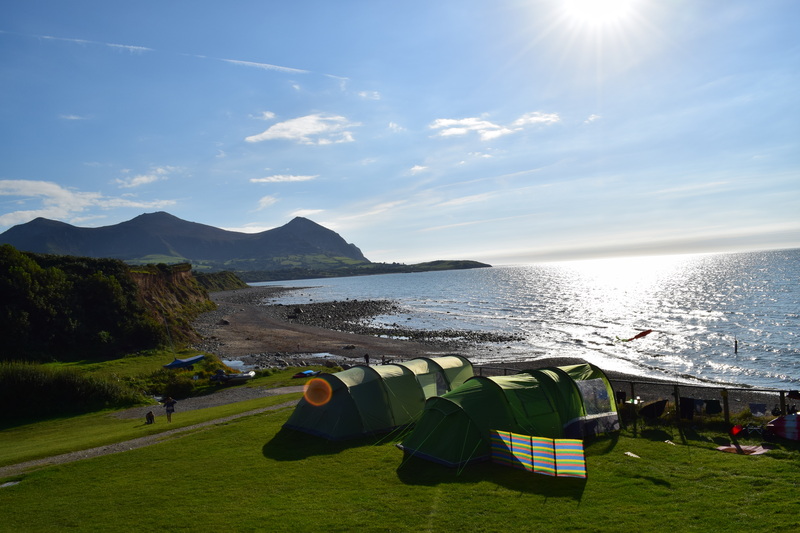 What a stunning campsite… and your tent looks so dreamy, I’ve never camped in Wales but it’s on my bucket list now!! Thanks Laura, yes it’s definitely one for your list. It really is lovely. Thanks for dropping by and joining us. Yes, keeping them warm and occupied is the crucial bit. After that everything falls into place. I imagine you’d have a wealth of geocaches near campsite too. Thanks for dropping by. Wow, I thought we’ve found the near perfect campsite just outside Clifden in Connemara, but this one trumps it – there are mountains on the doorstep. Stunning place! Incredibly stunning views from the pictures. And the kids seem to love every bit of this. It sounds as if the pricing is just right. I would definitely love to visit this place.